The airline industry has been shaken by a recent Aeromexico plane crash that took place on the 31st of July, 2018 on flight service AM2431 travelling from Durango to Mexico City, an extremely short-haul service, covering only 480 miles. 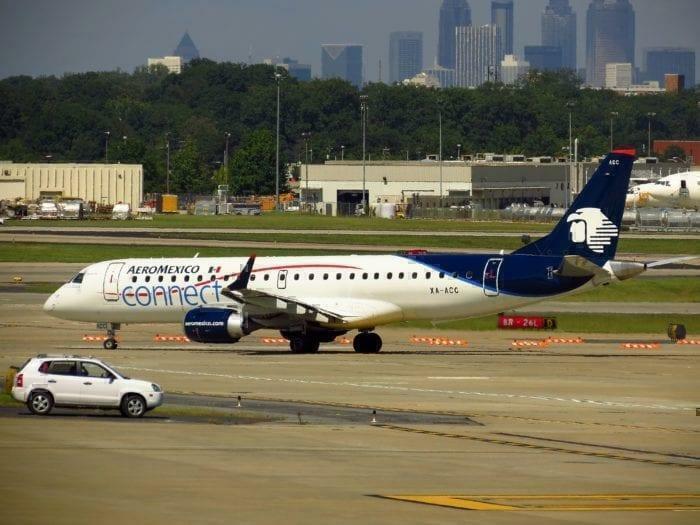 Aeromexico Connect was the operator of the service and the aircraft employed was an Embraer E190 airplane with an age of ten years, a significantly new airplane, with tail number XA-GAL. The seating capacity of the aircraft is 100 seats and the flight was full, carrying a total of 97 travellers and four crew members. The details around the Aeromexico accident remain unclear as no complete information has yet been provided on the reasons behind the crash. The airplane was in the process of taking off from the General Guadalupe Victoria International Airport in Durango on the 31st of July during the afternoon hours when suddenly the airplane fell. Although there are no fatalities, a total of 80 travellers had been injured and were taken to hospitals. Two of the 80 passengers were severely injured. The pilot of the aircraft suffered severe burns and is in critical condition. The Governor or Durango State, Jose Rosas Aispuro Torres, confirmed that no deaths were recorded after the 2431 accident and the Cabinet, led by Coordinator Rosario Castro, is acting upon attending to the needs of the harmed passengers and assist the airport authorities of recovering from the accident and analyzing its details. What seems to have happened is that during takeoff, the E190 was hit by a gust of wind, which resulted in the airline losing its speed and banking toward the ground hitting it with its left wing. The event took place right after takeoff and a number of people onboard shared their concerns after the accident that the plane should not have even left the ground. The aircraft fell horizontally into a field, thankfully activating the escape sections of the plane, giving passengers the ability to exit the aircraft before it burst into flames. Some passengers have shared their stories from the crash, commenting on how they saw the flames start and once the evacuation doors were open they started pulling other people out. Thanks to the escape options the fire was not a major concern for passengers and was quickly taken in control by the emergency vehicles that appeared onsite. Embraer’s E190 aircraft is a commonly used aircraft for regional flights and is also a top airline used by American Airlines and JetBlue. The aircraft manufacturer has offered its technical support to Aeromexico in attempts to establish the cause of the crash and analyze whether it was a manufacturing fault.